Home-grown handset and tablet manufacturer Micromax Informatics has invested an undisclosed amount in Scandid, a price comparison and product discovery portal owned and operated by Pune-based WishPoint Tech Pvt Ltd, according to a press release. Launched in June 2012, Pune-based Scandid helps customers compare prices and discover discounts across top e-commerce and local retailers. It was originally co-founded by Sushil Choudhari and Madhur Khandelwal. "We believe that Scandid has an edge with its offering in the mobile shopping scenario and we will be able to bring value to our customers," said Micromax co-founder Rahul Sharma. Scandid is a free mobile first shopping discovery and price comparison app, which compares prices across 10 million products from 200 online merchants. Users can discover discounts across Flipkart, Snapdeal, Amazon and hundreds of other e-commerce stores. Scandid also provides information from local retailers. 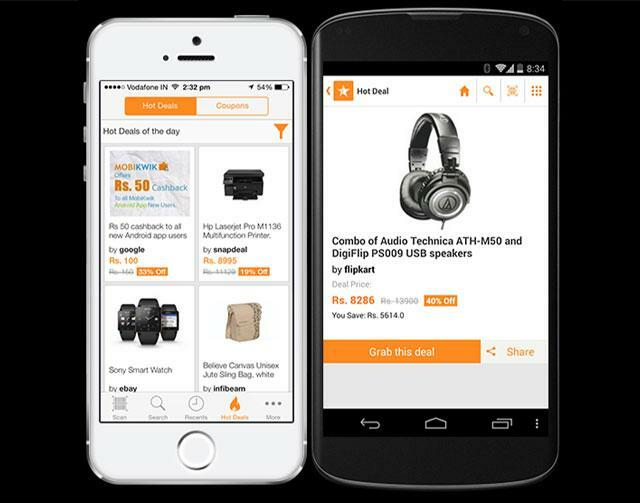 "Micromax's investment will help us reach the last-mile customer and strengthen our position as the leading mobile shopping destination," said Sushil Choudhari, co-founder of Scandid. "Scandid's presence on all Micromax smartphones will provide a rich shopping experience to Micromax users," Choudhary added. Scandid is available on Android, iOS and the web. Other price comparison startups include MySmartPrice, SmartPrix, BuyHatke and YouTellMe. Some of these are also funded by private investors. Choudhari was one of the co-founders of online music site Dhingana.com, while Khandelwal was founder of US-based shopping search engine TheFind.com before the duo came together in 2012 to launch Scandid, previously known Shoppingwish.in. Choudhary did his BE in computer science from Government College of Engineering Pune (COEP) and MS in computer science from University of Southern California. On the other side, Khandelwal did BE in computer science from BITS Pilani and MS from Texas A&M University. He was founding engineer at TheFind, which was acquired by Facebook in March 2015. Khandelwal left Scandid in July 2014. Both Choudhary and Khandelwal worked with Microsoft before becoming entrepreneurs. In May, Micromax announced that it will invest $0.5-20 million in around 20 startups over 12 months. In line with this strategy, Micromax has also set up an M&A team which has been actively sourcing and working with startups across Silicon Valley, Europe, Israel and India. In June, Micromax made an undisclosed investment in Delhi-based Le Travenues Technology Pvt Ltd, which runs the online travel search engine ixigo.com. It has also backed ventures such as HealthifyMe and in August made its first cross-border investment by putting money in New York-based consumer cloud startup MiMedia Inc.
Micromax Informatics Ltd. Scandid Wishpoint Tech Pvt. Ltd.